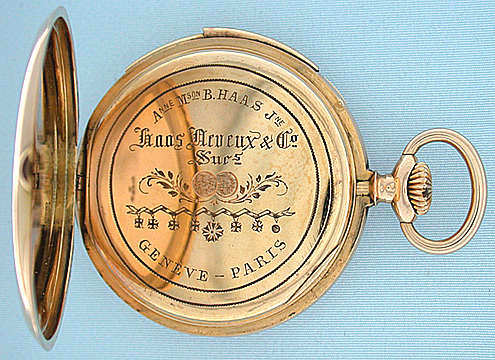 Fine 18K gold and enamel Swiss minute repeater by Haas circa 1910. 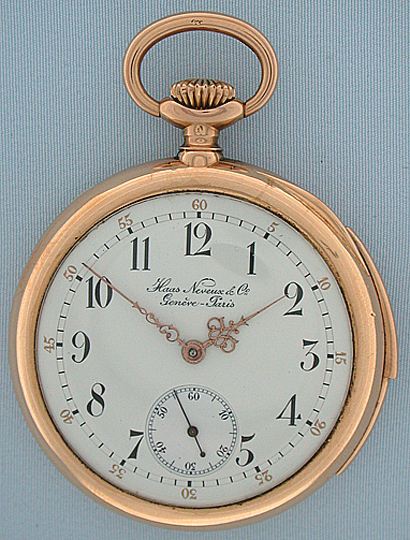 White enamel dial with red and black numbers (one clean hairline) and fancy gold hands. 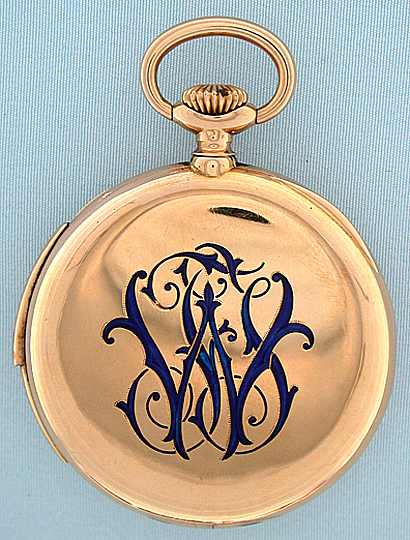 Plain polish case (ding) and elaborate enamel monogram with repair. 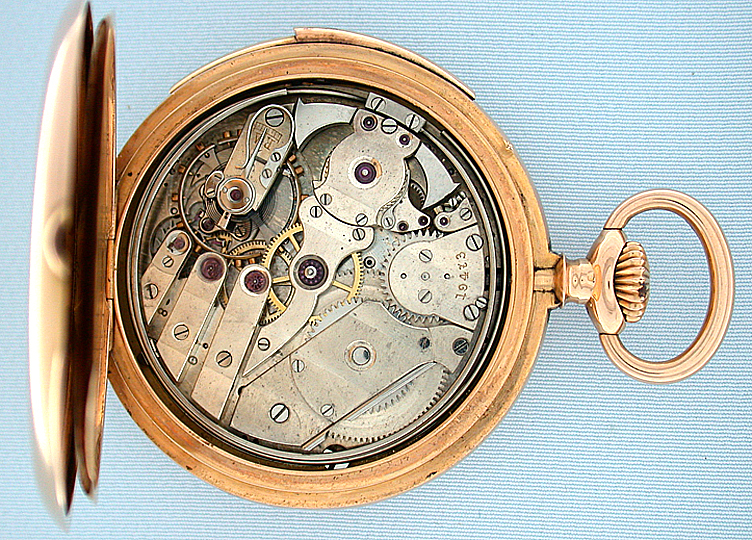 Fine 30 jewel movement with precision regulator jeweled to the hammers and the center. Excellent tone.